Under the tutelage of three master piano-tuners – one humble, one cheery, one ill-tempered – Tomura embarks on his training, never straying too far from a single, unfathomable question: do I have what it takes? Set in small-town Japan, this warm and mystical story is for the lucky few who have found their calling – and for the rest of us who are still searching. It shows that the road to finding one’s purpose is a winding path, often filled with treacherous doubts and, for those who persevere, astonishing moments of revelation. 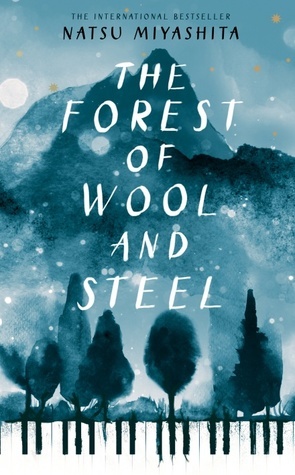 The Forest of Wool and Steel is a book that could be described as a love song to the piano.It is a beautiful and (appropriately) lyrical work that will stir the hearts of piano-lovers everywhere. It is a homage to music, and to the art of perseverance. I loved following Tomura on his journey as he learnt both how to tune a piano and how to believe in himself and find his purpose in life. The story and characters captured my imagination and rekindled my own love for the piano. It's a book I would recommend to all who love music and literary fiction.